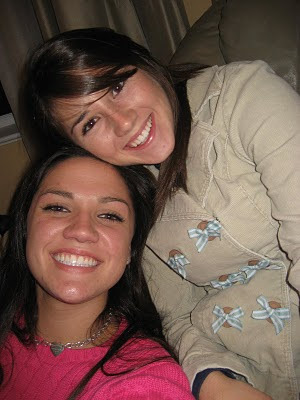 This is 2009, at my 21st birthday bash! This was in 2010 for her 21st birthday, my first time to "the other school"
Yesterday evening I got to talk to her about a fashion show she did raising money for cancer research. What a special, beautiful and bright person to be so close to! You're the best and I couldn't imagine not having a friend like you in my life!